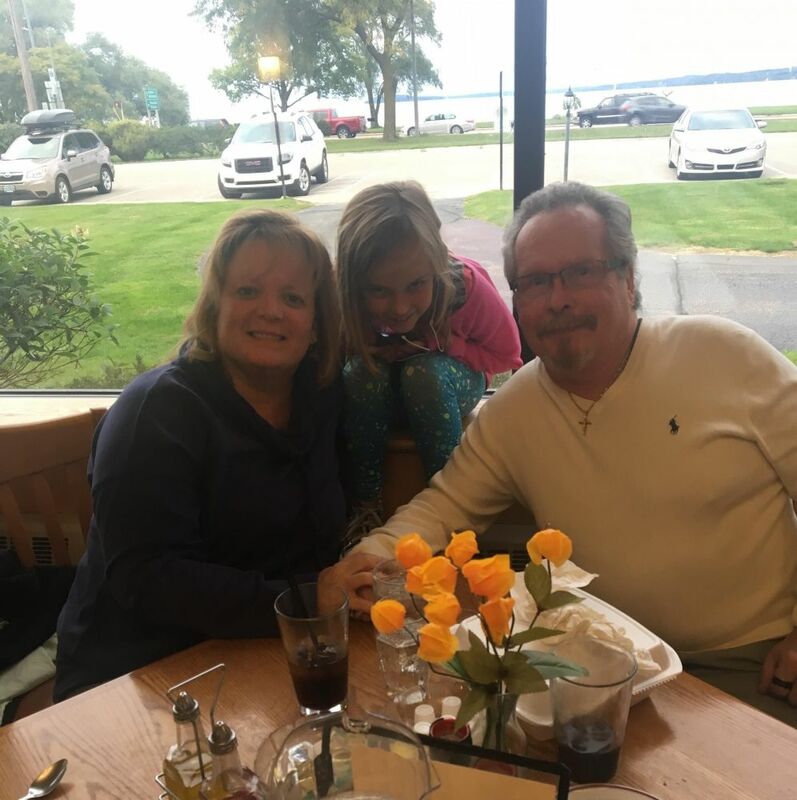 DJ's sister, niece, and dad go out for a meal in Traverse City. That facial hair is new or DJ's dad. He's never seen it in person.